.. i need only to wait one more Week until H5-0 Starts in our TV's. At March 13th a German TV station will air it...On March 18th a Switzerland TV Station will send it too. And at March 20th the Austrian TV starts also with H5-0.. 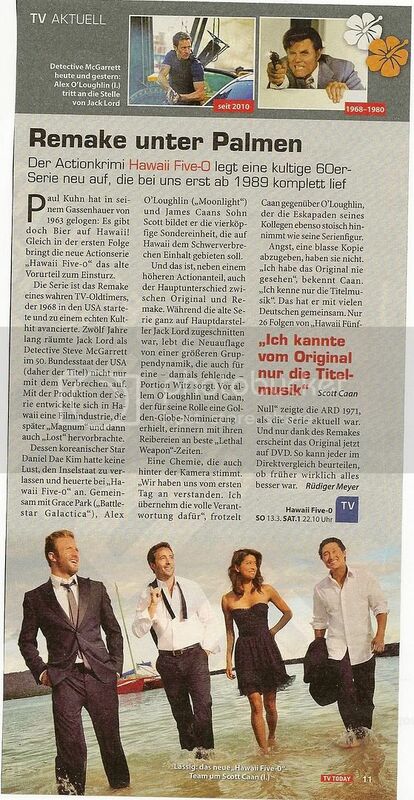 Here a german article from a TV Magazin..
Its from Sabine from AOLRooms.. It must be so exciting, Gabi! This is great news Gabi, and three episodes a week no less. Great Gabi...thanks for the German promo...yeah your gonna miss Alex's great voice but you still get his beautiful face and acting skills in your native language. So thrilled for you Gabi, there is nothing like watching it on live TV, with millions of others(hopefully). Im thrilled too.. cant wait..
Oh yes.. i hope it so much. I want see many seasons from H5-0.. so we need a lot of viewers.. ..
Last edited by fever on Sun Mar 06, 2011 4:18 pm, edited 1 time in total. So happy for you Gabi! Sooooo excited for you!!! Go for it!!!! The Quotes were good too. «Navy CIS» wollten zunächst 3,63 Millionen Zuschauer sehen, «The Mentalist» kam im Anschluss auf 3,23 Millionen. Die Zielgruppen-Marktanteile lagen bei ordentlichen 14,3 bzw. 13,4 Prozent. Quotenstark fiel auch die Premiere von «Hawaii Five-0» aus: Zwei Folgen der Krimiserie kamen im Schnitt auf 2,63 und 2,22 Millionen Zuschauer beim Gesamtpublikum, bei den 14- bis 49-Jährigen wurden 13,0 und sogar 17,7 Prozent eingefahren. For the second episode ( Start at 11.10 PM) 2.22 million viewers and 17,7 % for viewers in the 14-49 category..
Thats very good.. hope they stay there or get up. 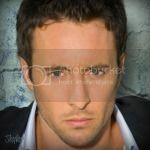 Last edited by fever on Mon Mar 14, 2011 12:44 pm, edited 1 time in total. Thanks for sharing the news, Gabi. That's fantastic Gabi, those figures sound good, hopefully they will build or as you said STAY put. Thanks Gabi. I have to ask. Is this the first time you are seeing the episodes, or do you have shall we say "other" ways of viewing them?